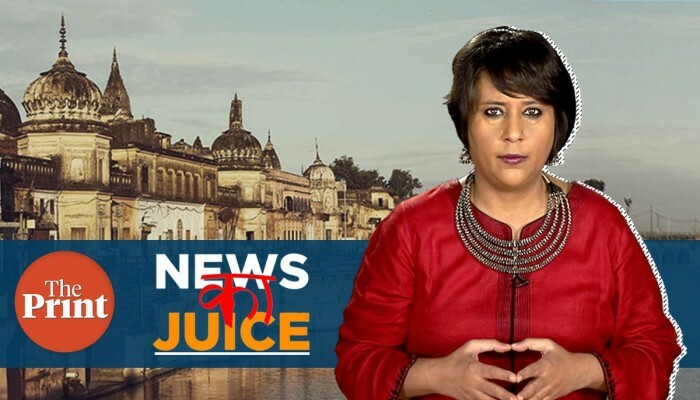 Recently, noted media personality Barkha Dutt made a short video on the topic of Hindus claiming to be the victims of institutionalized discrimination in India. The video, starts by asking if Hindus are indeed facing institutionalized discrimination. Right at the start, Barkha Dutt dismisses the claim by terming it as ‘nonsense’. Thereafter, she spends nearly 75% of the 4 minutes 23 seconds of the video discussing the political reactions to recent controversies surrounding religious issues, such as the Sabarimala judgement and the Triple Talaq debate. At the beginning, and again towards the end of the video, she mentions the recent development of the HinduCharter, through which numerous Hindu enthusiasts have put together a case for removal of institutionalized discrimination against the Hindu community. Out of the 8 key demands put forth by the group, she picks a supplementary line from the demand related to ban on beef exports and claims the group is misrepresenting facts about beef related violence. As a matter of fact, the HinduCharter group makes a compelling case for ending the root-cause of beef related violence – which is the artificially hyped up demand for beef due to heavy exports. Therefore, if any, the HinduCharter group is actually providing a concrete solution, backed up with economic, environmental and religious reasons, for ending beef related violence. 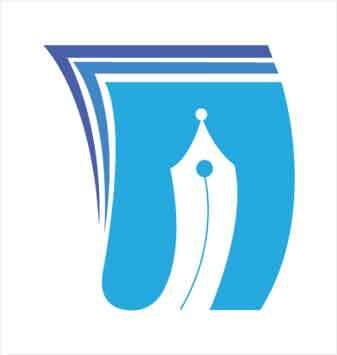 The term “institutionalized discrimination” has been extensively used by the HinduCharter group in all its communication. It would not be inappropriate, therefore, to assume that Barkha Dutt borrowed that term from the HinduCharter group. What is surprising (or perhaps not) is that there is not a single attempt in the entire video to discredit the claims of the group. There is not one reference to any institution. Nor is there any discussion about the multiple discriminatory provisions in the “system” that the charter raises. Needless to say, there is no refutation of any of the claims of discrimination put forth by the group. That being the case, the fact that the HinduCharter movement has been prominently mentioned in the video, and summarily dismissed, certainly calls for a response. And there have been multiple responses from the Hindu community members ever since the video is out. In this particular post, I would like to deliberate a bit on the issue of “institutional discrimination” raised in the video. Is there any truth to this claim? Is it a one-off exception that has been blown out of proportion? Or is it that the practice is really systematic? Let us try to analyze a little. Four key institutions define any State – (a) Constitution (b) Government (c) Judiciary (d) Media. Three key institutions define any religion – (i) Educational Institutions (ii) Places of worship (iii) Family. Let us look at the impact of each one of the State’s institutions on each of the Hindu religion’s institutions. Such a promising start does not last long, however. Several provisions in the Fundamental Rights section of the Constitution provide a lot of leeway to the State to meddle with religious affairs. Article 25(2)(a) allows the State to regulate matters related to our religion. A distorted interpretation of this provision has led to thousands of Hindu temples being taken over in the country. Vide Article 25(2)(b), the Constitution permits the State to meddle with matters related to Hindu personal law, and those related to our customs, traditions and rituals. Article 30 of the Constitution has made sure that the extremely important Fundamental Right of opening and administering educational institutions is NOT available to the majority Hindu community. Whether based on religion on an all-India basis, or based on language on a per-state basis, Hindus are the majority community and hence most Hindu citizens are deprived of the rights under Article 30. These then are the institutionalized discriminatory provisions under the Constitution. The inherently discriminatory provision of the Constitution with regard to educational rights was further strengthened by the Government, back in 2005, as a response to a judicial ruling in the TMA Pai case which said that on matters of admissions, both the majority and minority community run institutions stand on equal footing. In a swift legislative response to this judgement, the Government passed the 93rd amendment to the Constitution, explicitly leaving out minority educational institutions from the Government’s reach on matters related to admission. The result is Article 15(5) of our Constitution. On the strength of this provision, the Government introduced the Right to Education Act in the year 2009. Along with the State taking over 25% of the seats in all Hindu private educational institutions, this Act also imposes stringent regulations on almost all aspects of school management, including admission procedures, infrastructure requirements, teachers’ qualifications and so on. The immense burden of these regulations, coupled with the reluctance of most state governments to reimburse the schools with the fees corresponding to the 25% seats taken over, has had a two-fold effect on Hindu schools – (1) Closure of many Hindu private schools (2) Creation of a strong entry-barrier for Hindus in the education space. This is official confirmation that the stranglehold of the Government on Hindu schools has led to school closures. The Central Government, and indeed many state Governments, maintain a separate ministry for minority affairs. These departments run numerous economic and welfare programs that are available only to non-Hindus. Take a look at the below description of a program run by the Ministry of Minority Affairs, Government of India. This program, designed to encourage artisans and crafts-persons, excludes members belonging to the Hindu religion. Note that there is neither any separate program catering to just Hindu artisans. There cannot be a better example of institutionalized discrimination than this. Another Hindu institution that is the favorite target of Governments in India is temples. As a result of various state laws, thousands of Hindu temples in this country are under the complete control of the Governments - which are sworn to pursue a secular agenda. The controlling authority of a purely religious institution is a purely secular institution! Hindus, as a result, are steadily losing control over their places of worship leading to erosion of religious and cultural practices, values and morals. In just the past couple of years, most states report taking over of key temples by the Government. The state of Maharashtra too did not lag behind in this matter. Kerala too has been relentless in its pursuit of temple control. Just to rule out the possibility of this phenomenon being a South Indian exclusive, the Uttar Pradesh Government too has become active on this front. It is beyond the scope of this article to discuss the negative effects of Government takeover of temples. However, it becomes very clear that the capture of this key Hindu institution is systematically underway for the past few decades. The Governments have been relentless in attacking Hindu customs, traditions and festivals as well. Just last week, various state Governments and the Delhi police under the central Government arrested hundreds of parents across India for not preventing their children from bursting crackers during Deepavali, the holiest of Hindu festivals! While still on the topic of festivals, take a look at the below guideline issued by one of the state Governments just before the important festival of Ganesha Chaturthi. The Government decided that no idol of Ganesha could be greater than 10 feet, that the idols must be necessarily made of clay and that the idols must be immersed within five days. If this is not systematic invasion of the religious space of Hindus by the Government, then what is? In a very famous case known as the Pramati Educational and Cultural Trust vs Union of India, the Supreme Court of India reviewed the 93rd amendment of the Constitution that granted immunity to only minority run private educational institutions from admission related laws. The court’s summary was as below. Thus, the Supreme Court over-ruled its own principle as laid down by a 11-judge bench in the TMA Pai case of 2002 and approved the discrimination created by Article 15(5) of the Constitution. Just prior to passing this judgement, the Supreme Court had already instructed the Government(s) on how the Right To Education Act ought to be used against schools to which it applied – in other words – Hindu schools. In the Society for Un-aided Private Schools of Rajasthan vs Union of India judgement, the Supreme Court said the following. The SC effectively instructed the Government to use the RTE Act to “weed out” non-compliant schools! At the expense of repetition, recall that this Act applies only to the majority community. The Supreme Court recently set aside the ancient and traditional practice of non-admission of women aged 10-50 inside the Sabarimala temple. It ordered that the temple doors be opened to all women in spite of strong arguments by various stakeholders that the practice has not even an iota of discriminatory intent but is only due to the celibate nature of the deity. The devotees produced several scriptures from ancient Hindu works such as the Tantrasamucchaya and the Bhutanatha Upakhyanam to show that the practice at Sabarimala was a traditional Hindu practice and hence the temple must be accorded the status of a religious denomination thereby allowing the entry restriction. The honourable court’s response was as follows. The court declared that the unique practice at Sabarimala actually carries no religious identity! The case related to the Rama Janma Bhoomi disputed has been languishing in the Supreme Court for nearly 8 years now, with an end nowhere in sight. The Karnataka High Court, in the late 2000s, held that the Karnataka HR&CE Act, through which the state manages over 32,000 temples, is unconstitutional. In the year 2010, the Supreme Court gave a stay on the verdict, allowing the Act to remain in operation. However, for the past 8 years, almost no progress has been made on adjudicating this critical matter. Thousands of temples continue to languish under Government control. Two snippets from court judgements will suffice to highlight the extent of interference the judiciary does in the matter of Hindu traditions and festivals. Take a look at the regulations imposed by the Supreme Court in the matter of celebrating Dahi Handi during Sri Krishna Janmashtami in Mumbai. Everything from the height of the pyramid to the size of the cushions to be used for safety is specified by the courts. Similary, in a recent order in 2017, the Supreme Court ventured into specifying the type of water to be used in the Ujjain Mahakal temple. The court had ventured into specifying even the quantity and quality of water to be used for “abhishek” in a Hindu temple. Needless to say, no religious institution belonging to a non-Hindu community receives this kind of attention or “treatment”. Media is another institution in the country that is relentlessly after the Hindu religion. Every single practice is questioned from a liberal point of view, with predictable results. The ‘patriarchical’ rituals of Hindus are a target of constant ridicule. Take a look at the below assessment of the Karvachauth festival. A beautiful ritual that has helped strengthen the marital bond between Hindu couples for centuries is mocked as it supposedly turns women into “mute passive bystanders”. The joyful bursting of crackers during Deepavali is yet another obvious target for the media. To counter the finger-pointing made by Hindus about the muslim event of Moharram, media terms the bursting of crackers to be a “self-flagellation” insinuating that the practice is as harmful and violent. The worship of cows is one of the most integral practices of Hindus. Right from the Mahabharata to the Puranas to various Smritis and other scriptures, the worship of cow has been declared essential and sacred. However, the media gives the practice a totally orthogonal spin. It declares emphatically Hindus “do not pray to cows”. On yet another occasion, our customs are declared “regressive” and “sexist”. These few samples are sufficient to highlight the deep-rooted bias that mainstream media carries against the Hindu religion. Barkha Dutt’s summary and nonchalant dismissal of the demands placed by the HinduCharter is unfortunate, and the analysis is lacking in depth. The systematic discrimination against Hindus – via the institutions of the Executive, Judiciary and Media is a clear and present danger to the community. The discrimination finds its basis in the Constitution, the amendment of which is a key demand of the HinduCharter. The demand of the Hindus, via the charter, is without malice towards any other religion, and is aimed at seeking parity with the rest. The intellectual and political community must therefore engage with it honestly and openly. The end-result can only strengthen the secular fabric of this country, by quelling the discontent amongst the followers of the nation’s largest religion.